A study from iPass, which specialises in enterprise Wi-Fi, has warned that IT departments need to keep track of Wi-Fi roaming costs. More than half of all users who participated in an iPass study stated they have problems connecting to Wi-Fi networks in key locations such as airports and hotels, according to the company’s quarterly Mobile Workforce report. 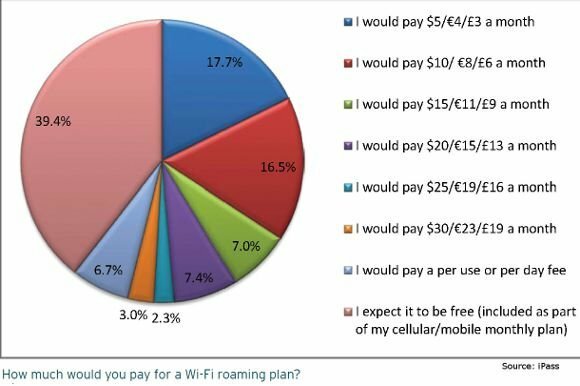 Mobile workers often experience limited and frustrating connectivity choices: an expensive one-time Wi-Fi “day pass”, or costly mobile data services. To minimise fees, mobile workers may choose to use the free Wi-Fi in a hotel’s business centre or lobby, rather than the fee-based Wi-Fi in their rooms. The report found that 42% of mobile workers agreed that excessive charges and restrictions in monthly plans forced them to limit their data use, negatively affecting productivity. A quarter of the mobile workers surveyed said they recouped mobility costs through expenses. “We are seeing that mobile workers are becoming more cautious about exceeding data caps and deliberately limiting their data usage, which is hindering productivity,” said Evan Kaplan, chief executive officer at iPass. Adopting consistent plans and policies would prevent workers from being faced with pricey, one-off fees, iPass noted. The study found people would be prepared to pay for a Wi-Fi roaming plan.